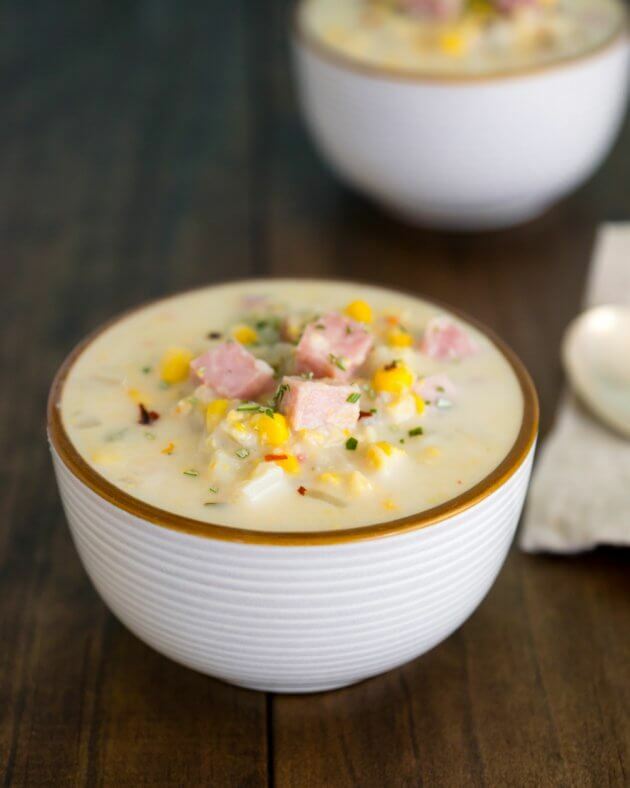 Easy ham-corn chowder is healthy comfort food for busy days. Enjoy the final days of summer and get excited about fall, with this quick soup recipe. I often run low on fresh vegetables when our schedule gets crazy. The busiest weeks mean I may not get to the store to re-stock until we are down to the last shriveled lemon or half bulb of garlic. My trick for these nutty weeks is keeping a supply of frozen vegetables on hand at all time. Thanks to my stash, I can always throw together a healthy meal with a generous serving of vegetables. Having said that, if you can find fresh corn in your market, please use it for this soup. You can also use the cobs to make the broth! Corn broth adds to the fresh corn flavor of this quick corn chowder. It is also a great option for anyone who would like to omit the ham and enjoy a vegetarian version of this creamy comfort food. Of course, in the spirit of simplicity, prepared chicken stock (as noted in the recipe ingredients) works great too. 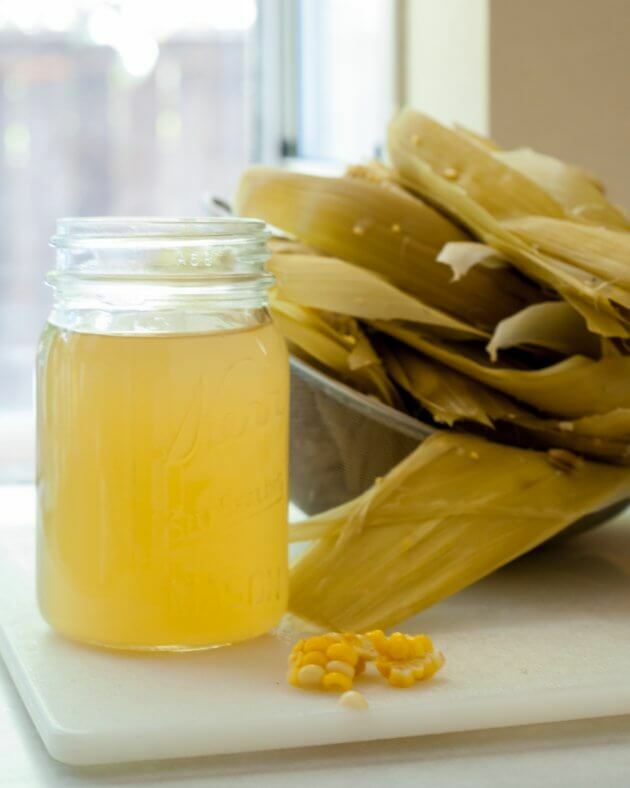 Easy corn broth recipe: cut the kernels from 5 ears of corn. Reserve the kernels for the soup. Place the cobs in a pot with 5 cups of and simmer on low heat for about 20 minutes or until the liquid reduces by a cup. Strain the broth through a fine mesh sieve then store, tightly covered, for up to a week. 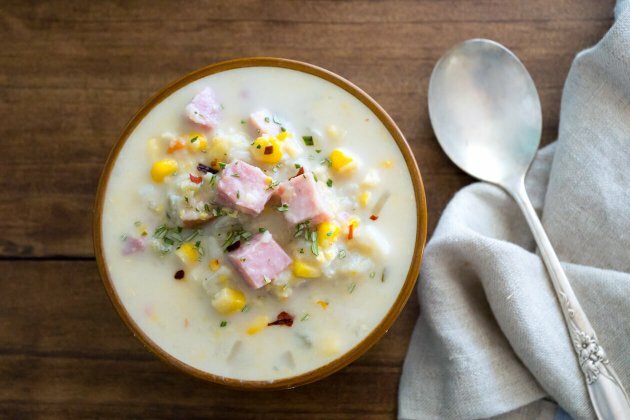 This healthier ham-corn chowder is a little like wearing your favorite sweater with a pair of shorts. It combines the cozy feeling of fall with the lightness of summer. 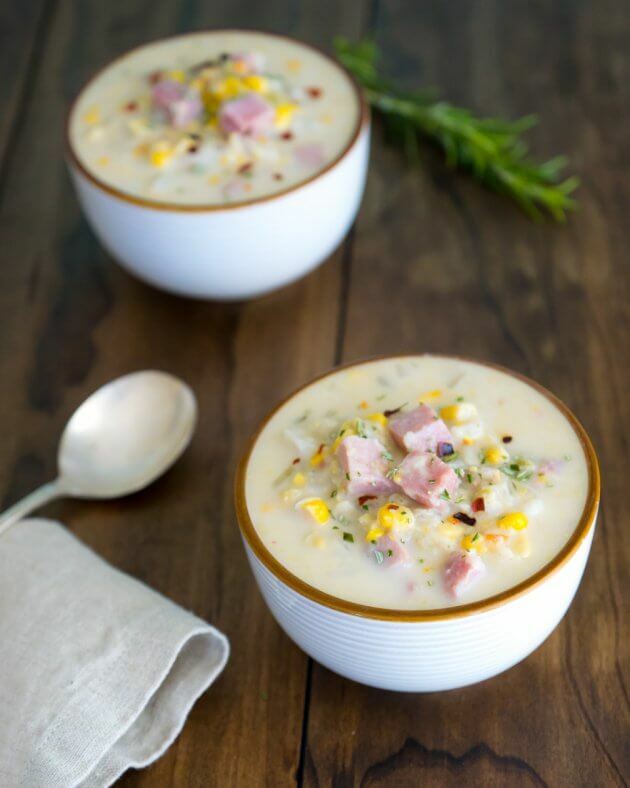 Easy ham-corn chowder is perfect for those first fall days when you are still in the mood for the tastes of summer. 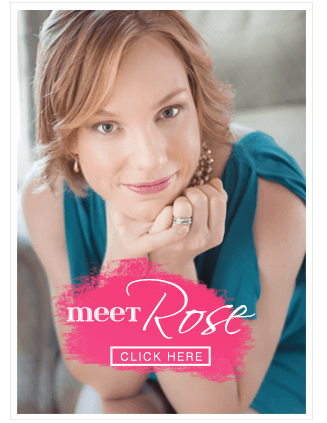 In a heavy bottomed soup pot or 6-quart Dutch oven – warm the oil over medium-high heat then add the onion with the rosemary and a pinch of salt. Cook, stirring frequently until the onion begins to turn translucent about 5 minutes. Add the potatoes and cook until they begin to soften about 3 minutes. Then add corn, broth, and chili flakes. Simmer the soup over medium heat for 20 minutes. Adjust the heat if needed to keep the soup from boiling. Remove 2 cups of soup and puree in a blender (or with an emersion blender) until smooth, return the puree to the pot. Stir in the ham cubes and half n' half then simmer gently over low heat until the ham has heated through - about 5 minutes. Do not let the soup boil or the half n’ half will break and become lumpy.